A former member of the disbanded Canadian Airborne Regiment will finally get his day in court. Ronald Smith, formerly of North Bay, has filed suit against the federal government and a drug manufacturer that the drug he was required to take while part of the ill-fated Somalia peacekeeping mission in the early 1990s left him with a host of medical issues. Ottawa and Hoffman-LaRoche – the company that developed mefloquine – opposes the lawsuit, initially launched in 2001 on behalf of veterans. Smith is represented by Wayne Stickland of Larmer Stickland, PC, a North Bay law firm. One witness scheduled in court is Dr. Remington Nevin, an expert on mefloquine and its effects. “This day has been a long time coming for members of the Canadian Airborne Regiment,” Nevin said in a telephone interview Thursday. Mefloquine, Nevin said, should never have been issued to Canadian soldiers. The drug is used to combat malaria. Among the issues in the hearing, Nevin said, will be the argument the military may not have had the authority to distribute the drug. It was not licensed for use in Canada at the time, and was only to be used under close supervision. Nevin says there was not sufficient supervision and monitoring after the soldiers were administered the drugs, and that the rules of a clinical trial were not followed. Two soldiers – Clayton Matchee and Kyle Brown – were charged in the beating death of a Somali teen, while other soldiers reported alarming dreams, hallucinations and depression. Since the Somalia mission, the United States, Australia and the United Kingdom declared mefloquine was to be the drug of last resort, Nevin said. “That is almost the same as banning it completely,” he said. Canada joined the other countries in naming it as a drug of last resort earlier this year, he said. “It’s a ban in all but name,” Nevin said. He said there is a whole raft of possible side-effects of the drug, including anxiety, paranoia, depression, hallucinations, psychotic behaviour and, in rare cases, thoughts of suicide. 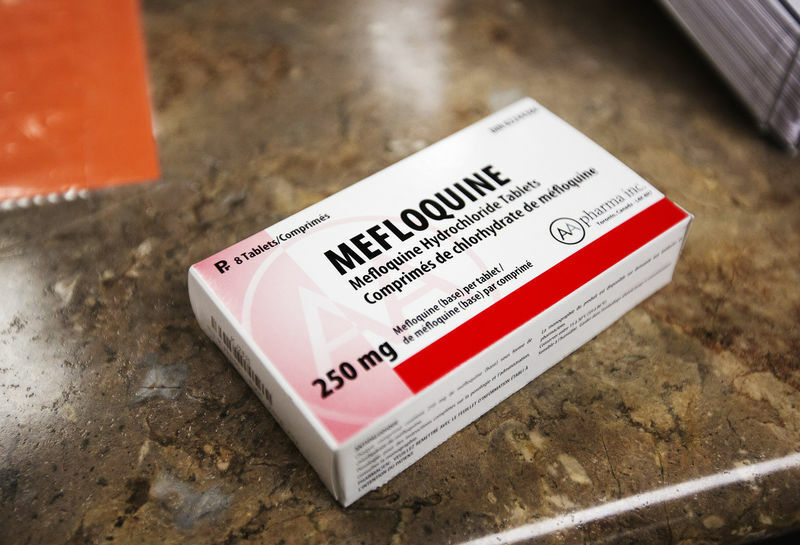 Last year, Health Canada said some side-effects can persist for months or years after use of mefloquine is discontinued, and that some may be permanent. “There are quite possibly well over 100 members of the Canadian Airborne Regiment who were quite possibly illegally administered the drug, and who may still be suffering effects of the drug,” Nevin said. “This case will permit the possibility of justice for members of the Canadian Airborne Regiment so affected,” he said. Nevin has been retained as a consultant and expert witness for a number of mefloquine cases around the world.